Get one (or both!) 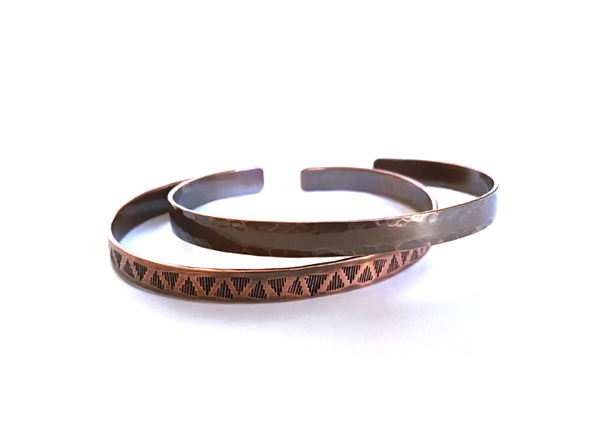 of these cuff bracelets on your wrist to emphasize your unique style. They stack well and provide all the benefits of copper. These cuffs can be adjusted slightly by bending them to the shape of your wrist. The 6″ length will accommodate a women’s small/medium and the 7″ length will accommodate a unisex medium/large.